Whether your needs are private or corporate, we excel in personalizing each event to your specifications. References supplied readily upon request. 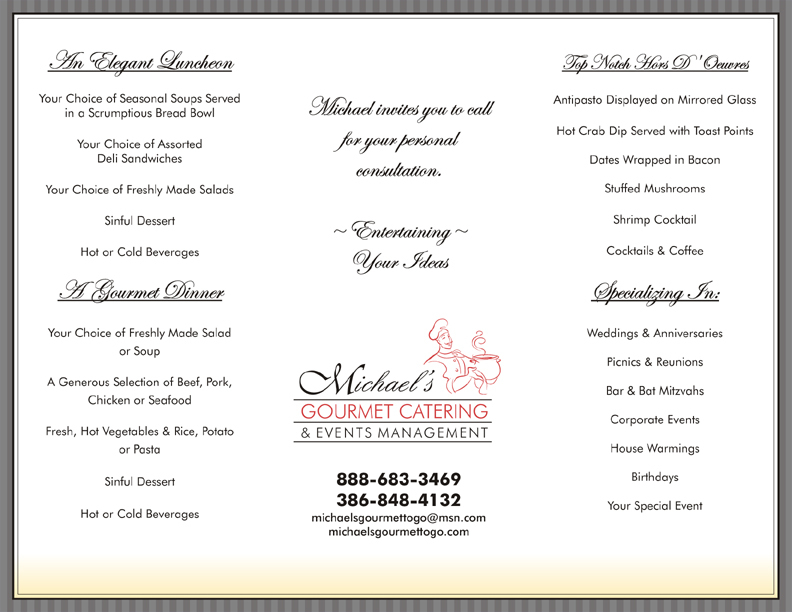 Listed below are but a few of the hundreds of menu items offered.